There's a little known part of this city that has no immediate equivalent anywhere else in Australia. By virtue of its location, it has remained literally largely hidden from most Melburnians' sight for most of its life. 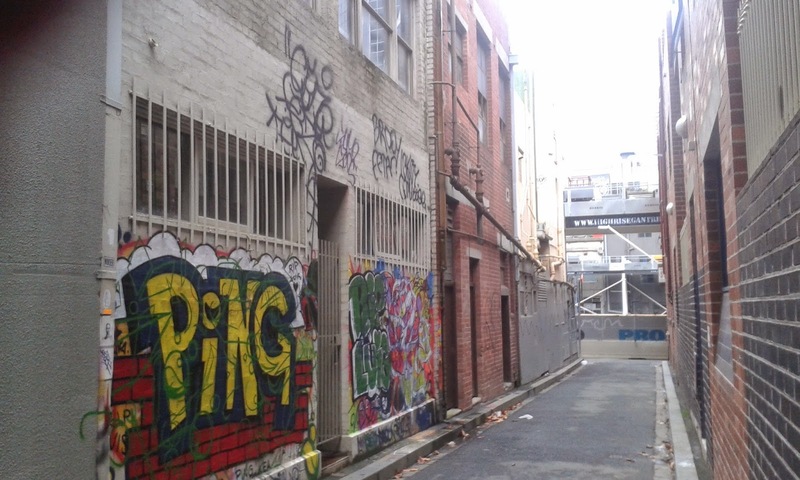 It is only with the recent discovery of "laneway culture" and through development pressure across the cbd more broadly that the area called Guildford Lane has risen in prominence. 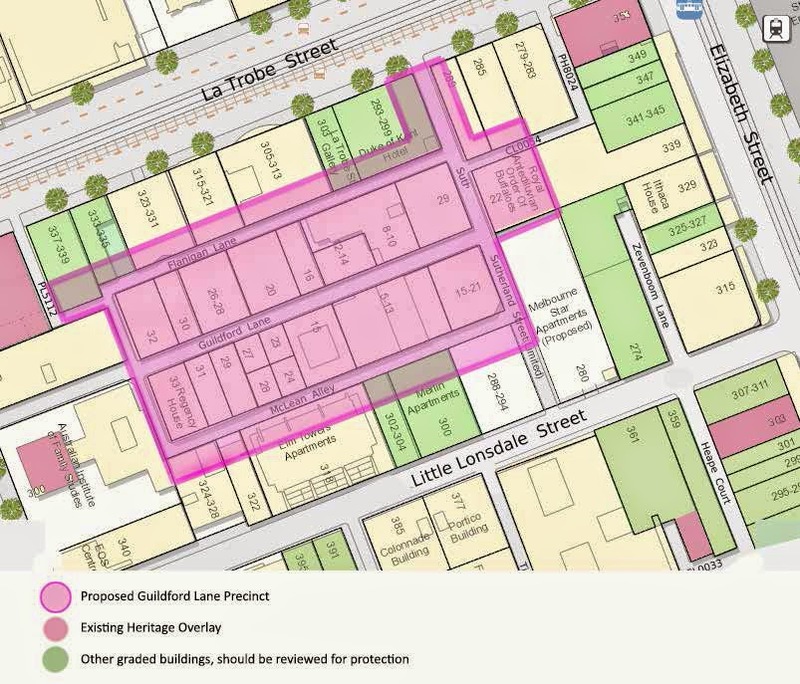 With that prominence now comes the imperative to develop a heritage overlay for the entire precinct before any more of this unique and highly valuable resource is lost to us. 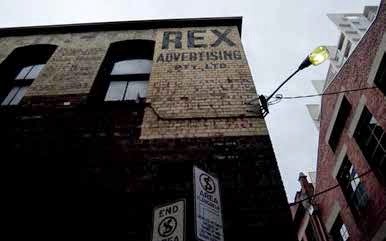 Council has in the past been presented with recommendations for preservation of the precinct but nothing has ever been done. 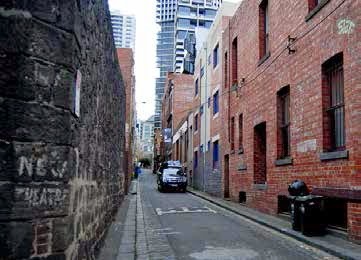 Guildford Lane and the network of lanes around it was established by 1855. 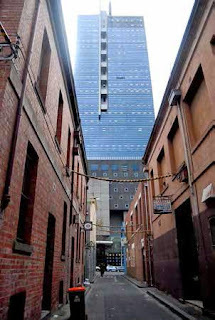 The gold rush resulted in many dense developments of small tenements around central Melbourne, including in this precinct around Guildford Lane. The buildings, however are thought to likely mask archaeological evidence of even earlier residential dwellings. The Guildford Lane Precinct is historically significant for its illustration of ordered but constrained re-division of the original 1837 Hoddle blocks for small-scale development. 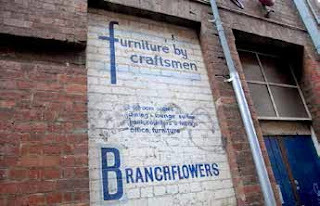 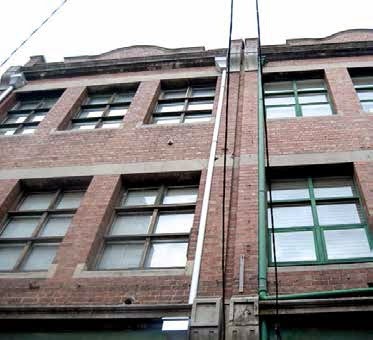 It is Melbourne's best surviving example of small scale, early twentieth century industrial and warehousing building fabric. All except one of the buildings facing the lanes date from the 1880s to the 1930s, built for light industrial or warehousing purposes. Except for two buildings - the bluestone walls of former stables of the Buckshead Hotel at 15-21 Sutherland Street which may date from the 1850s, and the rendered brick wall of the building at 20 Sutherland Street, all the buildings facing Guildford Lane are in unadorned red brick, and none more than 4 storeys. Guildford Lane runs east off Queen Street, and after about 20m, the L-shaped Flannigan Lane and MacLean Alley branch off, to run behind the buildings facing Guildford Lane, and they all meet Sutherland Street, which runs north-south from Little Lonsdale to La Trobe Street. There are unnamed L shaped lanes running off Flannigan Lane to the west and Sutherland Street to the south that provide further access to Latrobe Street. 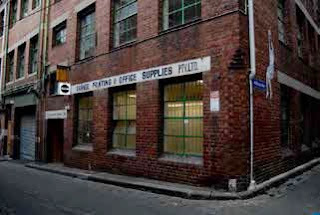 In addition to commercial and manufacturing businesses, Guildford Lane was the home to several food related businesses. 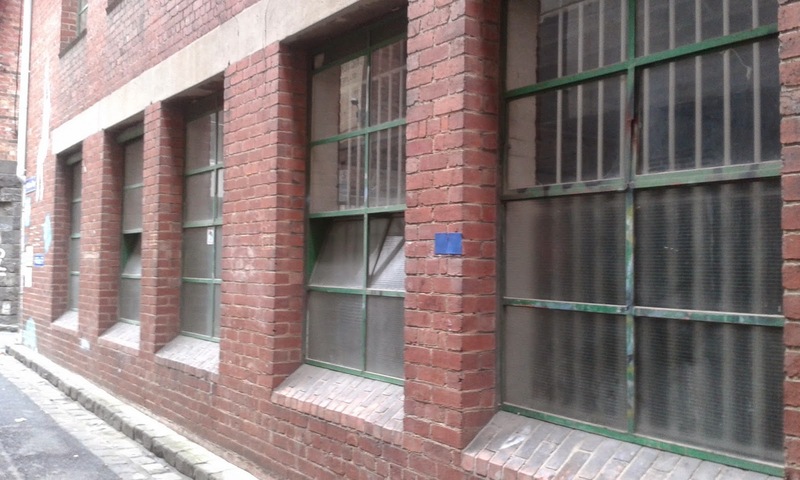 In 1920, the Chocolate Bowl Confectionery Company occupied premises on the north side of the lane. 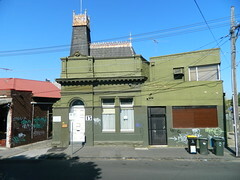 In 1911, a request was made to the City Solicitor to take proceedings against several fruit hawkers who called Guildford Lane home. 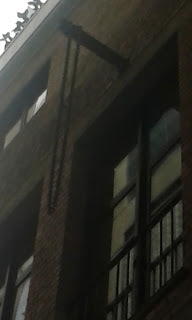 The buildings almost all display relatively in tact original exterior fittings, including extensive ironwork, and increasingly rare metal-framed industrial-style windows. 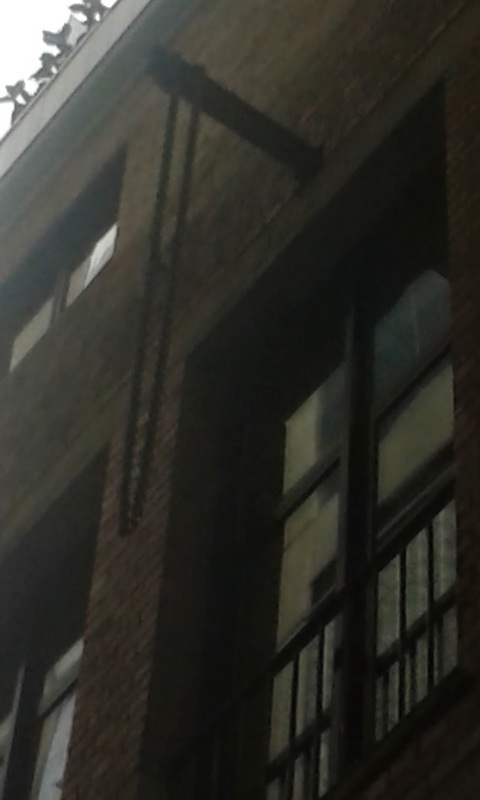 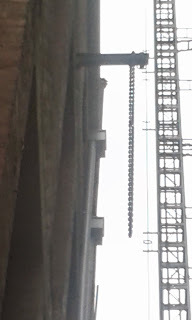 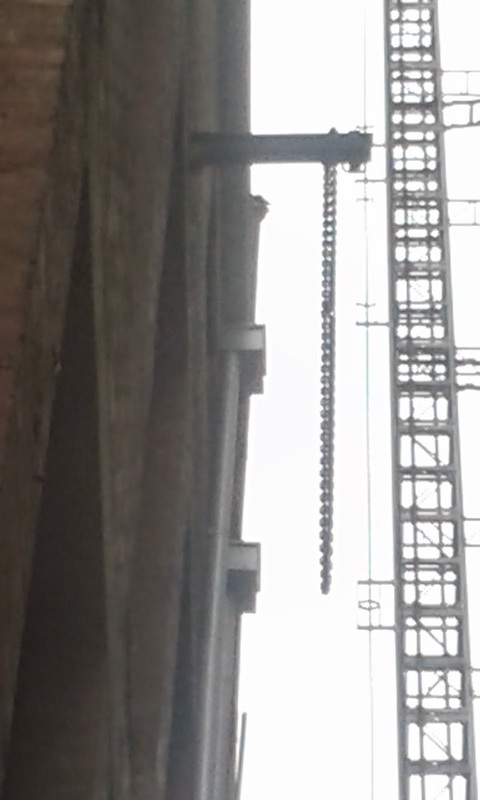 Here, you can see the original pulley system for one of the warehouses still in place. 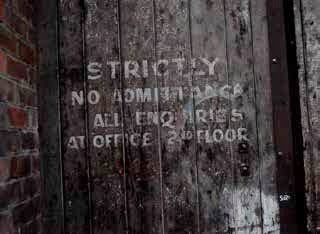 The area has cultural significance also. 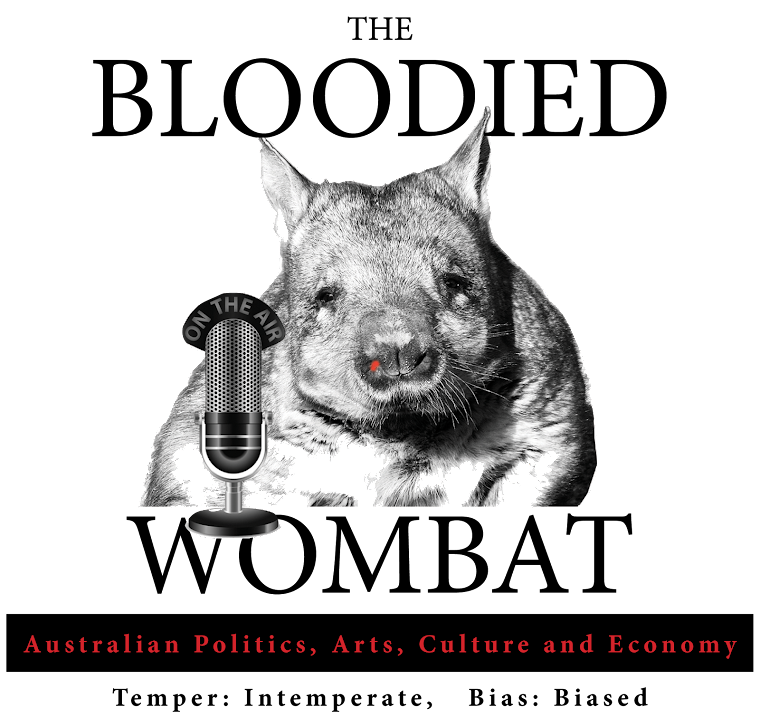 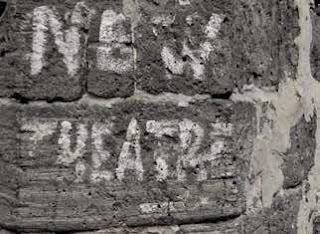 The New Theatre, an early and influential Communist/Brechtian group, and sister organisation to Sydney's New Theatre used to hold their performances upstairs at the Duke of Kent Hotel, now itself under threat of development. Signage for the theatre remains on display in Guildford Lane. 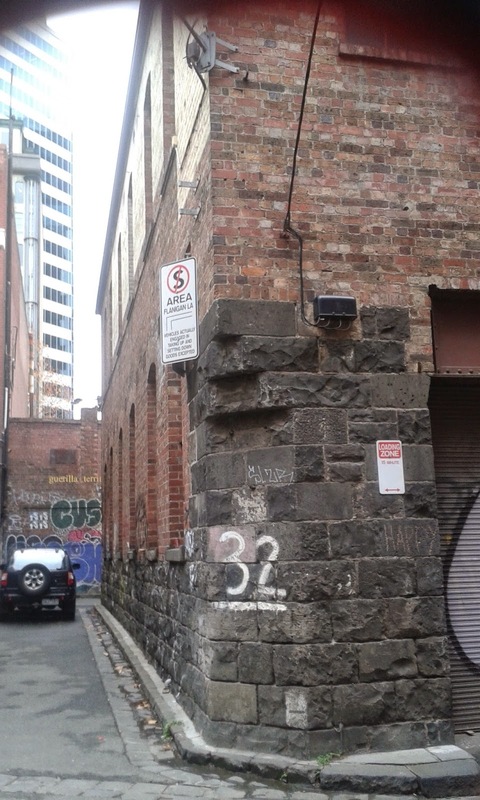 In fact, fascinating historical signage abounds in the area, as per these photos. 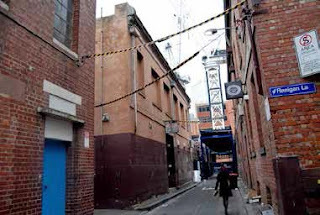 The area has recently risen to become arguably the most vibrant visual arts precinct anywhere in Melbourne. 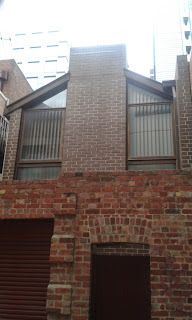 Fehily, Screen Space, Urban Codmeakers, Utopian Slumps and of course Guildford Lane Gallery all make their homes there. 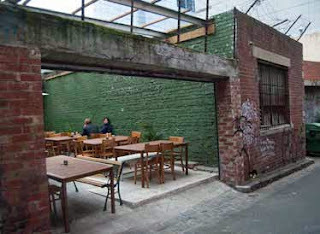 And the cafe culture has followed in their wake. Particular praise needs to be made of the street activation offered by Brady Development's otherwise bog-awful Melbourne Star and Melbourne Sky apartment buildings, which have added a number of small-scale cafe spaces to the mix, rendering these monoliths strangely sympathetic from a street level perspective. 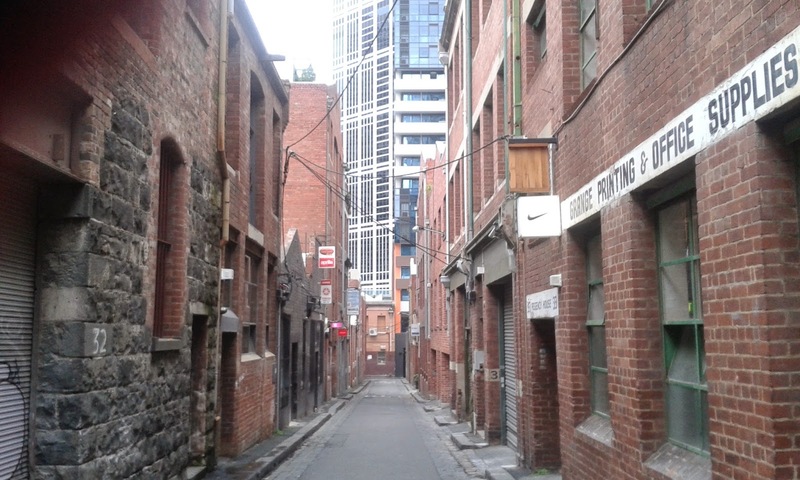 A number of the buildings have in recent times been converted to residential use, but the development has been almost wholly sympathetic to the preservation of the laneway's character. 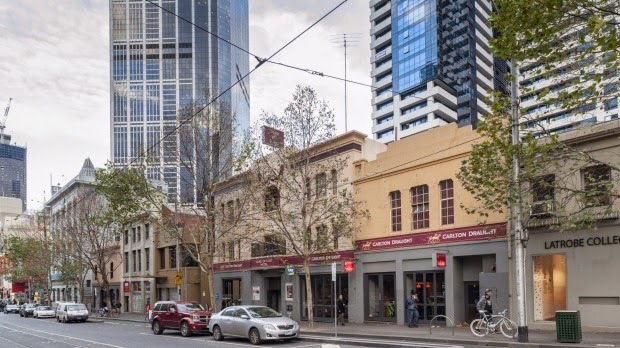 Now, however, now a number of large developments threaten the integrity of the precinct and Melbourne Heritage Action's proposal for a Guildford Lane Heritage Precinct now needs urgent consideration by Council. This development at 26-28 Guildford Lane proposes demolition of the existing building and construction of a 7 storey building wholly out of character with the surrounding four storey lanescape. And this development proposes wholesale demolition of the C-graded Heritage building, The Duke of Kent Hotel, built in rare neo-Egyptian style, and whose rear (shown below) contributes significantly to the lanescape of Flanagan Lane. 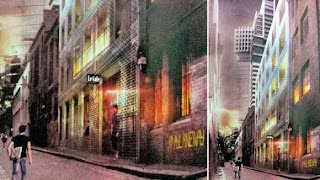 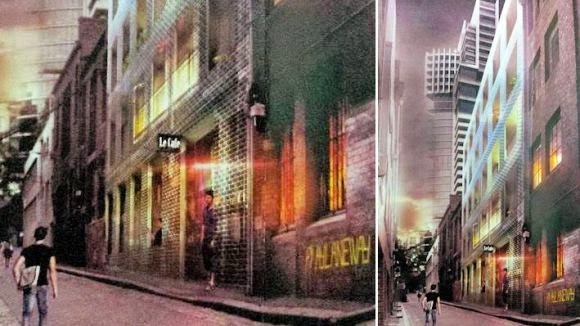 Furthermore the lanescape of Sutherland Street is already in the process of being significantly compromised by the construction of Eporo Tower, which itself saw the demolition of these three heritage structures that were themselves highly contributory to the Guildord Lane precinct. 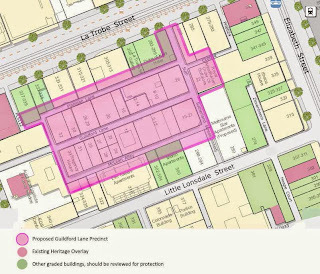 Melbourne Heritage Action currently has a proposal for a heritage overlay for the entire precinct, including surrounding contributory buildings before council. 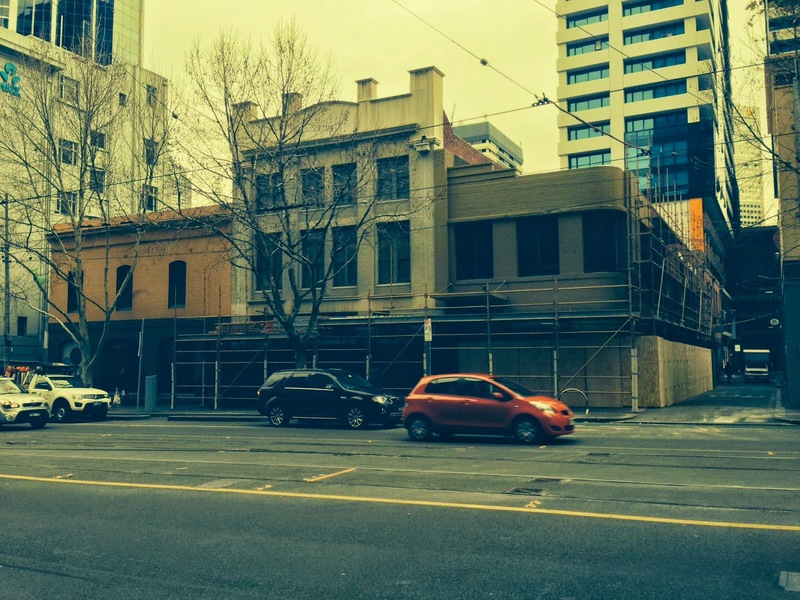 City of Melbourne residents are encouraged to write to their Councillors in support of this proposal. 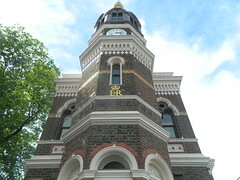 The complete proposal can be found HERE. 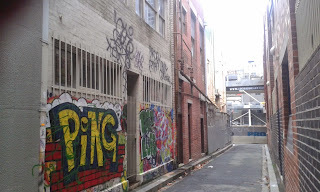 But if nothing else I'd urge all Melburnians not familiar with the area to spend a fascinating couple of hours pottering around the precinct. 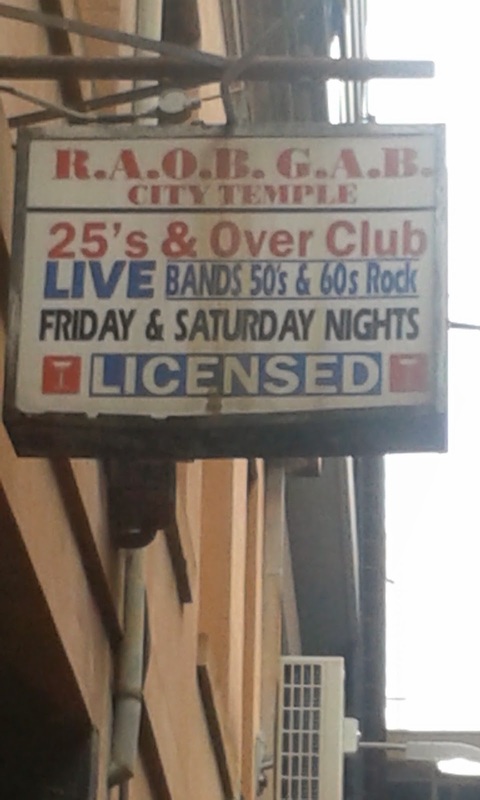 Heritage, after all is there to be lived. 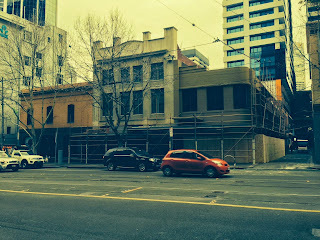 Photocredits: Adam Ford, Tristan Davies, Melbourne Heritage Action.